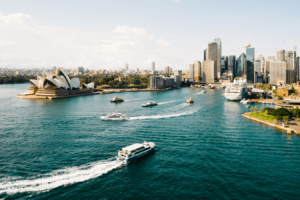 Australia is home to the fifth freest economy in the world, according to the 2018 Index of Economic Freedom, and is one of the wealthiest Asia-Pacific nations, too. Having enjoyed more than two decades of growth – it was one of the world’s only countries not to struggle through a recession after the collapse of the banking industry – Australia is a competitive force when it comes to technology, services, and manufactured goods, whilst its mining and agricultural industries are important export sources. For businesses in Latin America, or indeed elsewhere in the world, Australia represents a real opportunity for international growth and expansion. Expanding your business into a territory such as Australia may seem daunting upon the first inspection, but the good news is that company incorporation Australia is a relatively simple and straightforward process. However, it is important that you understand which structure is right, as responsibilities, taxes, costs and asset protection can vary between structures. Unlike in some countries, when forming an Australian business, you will not be locked into your structure, and you will be free to change as your business develops. Below, we’ve put together the four types of business structures in Australia, and give advice on choosing the right one. Australia is one of the wealthiest Asia-Pacific nations. Becoming a sole trader in Australia is perhaps the simplest and easiest business incorporation, and it’s also the cheapest. Suitable for individuals running a business, you will serve as the sole owner and manager of the business, and be legally responsible for all parts of your venture, including debts, losses, and liabilities. You are allowed to hire employees as a sole trader, but you cannot employ yourself (so you will be accountable to all profits, debts, and losses). If you do hire employees as a sole trader, you will have to pay towards your worker’s super – the super guarantee means businesses pay 9.5% of an employee’s earnings to put towards their retirement. You must pay the super at least four times a year; if you don’t, you may be fined. You will receive an individual tax file number to use when filing your income tax return. There is no separate business tax return for sole traders – you must report all of your income on your tax return, even if you have multiple businesses or ventures. If you earn than $75,000 per year, you’ll need to register for Goods and Services Tax (GST). You pay the same tax as individual taxpayers, but may be entitled to a small business tax offset depending on your circumstances. Work with a local accountant to be sure. Most sole traders pay their income tax at the end of the financial year, but you can pay yours quarterly or in Pay As You Go (PAYG) installments if you prefer. If you would like to incorporate in Australia with a friend or business partner, then a Partnership might be a better option for you. This structure is cheap to set up and run, and all partners in the company will share the responsibility of profits, losses, and have control over the business. 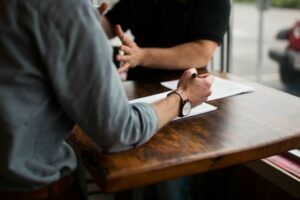 You can choose to write a partnership agreement on paper to outline how profits and losses will be split, and how the everyday running of the business will be controlled, although this is not a legal requirement. However, writing an agreement will help to overcome disputes, particularly for tax purposes if you do not want to equally split the profits or losses (for example, if one partner invests more in the business, you might decide they will receive a larger income percentage). As Partners, you cannot be classed as employees, although you may employ others. As with a Sole Trader, you’ll be responsible for paying into any worker’s super. All profits, losses, and control of the business are shared amongst partners, although your agreement can determine whether or not those figures are shared equally. Rather than paying income tax on the profits, each Partner will file their share of the income as part of their personal tax return, so all income must be declared and taken. All partnerships must apply for an Australian Business Number (ABN) and tax file number (TFN), and register for Goods and Services Tax if turnover is over A$75,000. As a director, you will be liable for your actions and company debts in some cases. You must pay super guarantee contributions for all of your workers, including your own and that of any other company directors. All companies must have a tax file number and an Australian Business Number (ABN). The company will own the money the business earns – as a director, you cannot take money out of the business apart from distributing profits as wages and bonuses. The company will be required to lodge a tax return and pay income tax in installments. The tax will be paid at the Australian company tax rate or lower company rate depending on size and nature but may be eligible for small business concessions. Choosing the right structure for your business is very important as responsibilities, taxes, costs and asset protection can vary between structures. A trustee (either an individual or company) will be responsible for the trust’s operation. Trusts must have their own tax file numbers, Australian Business Numbers and register for Goods and Services Tax if their turnover exceeds $75,000. Trusts must also pay super for any employees, including the trustee’s if they’re employed by the business. Trusts may pay tax, but if its income is distributed to resident beneficiaries in Australia, then they are exempt. If some of its income is distributed to non-residents or minors, then the trust should declare its own income tax returns. Are you ready to incorporate a company in Australia? With so many commercial opportunities in Australia, particularly in energy, education, tourism, financial services, and agribusiness, there has never been a better time to incorporate a business within the territory, but receiving professional and tailored support is key to success. We recommend hiring back-office services from a professional local company with experience in Australian businesses to assist you in your new venture. Whether you’re looking for accounting, recruitment or financial services, contact Biz Latin Hub Australia to see how we can assist with your international expansion, or reach out to the team today on [email protected] for personalized support.